Available 7 days a week, our Click & Collect service allows you to place your order online and pick-up at any of our retail stores island-wide*. *Please note that Icon Village, South Bridge and all of our Changi Airport outlets are not available for collection. 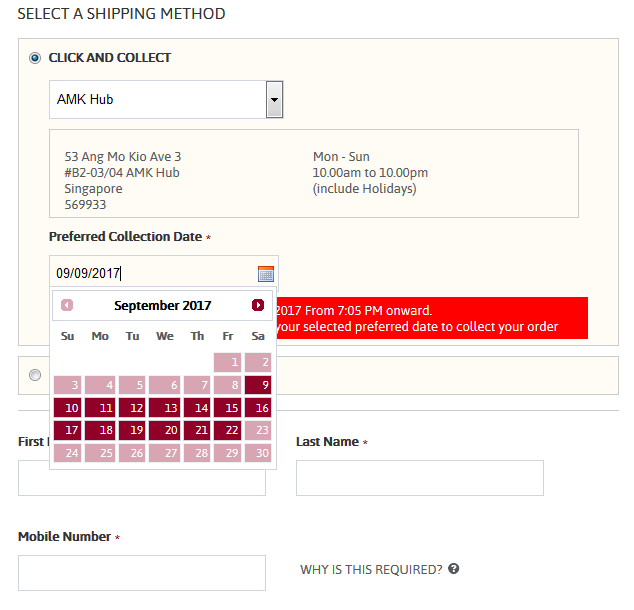 Click & Collect services are only aviailable in Singapore. Choose Click & Collect delivery option. Select your Preferred Retail Outlet from our list of 40 available retail stores. Click onto the calendar to select your Preferred Collection date. For same day collection, make your orders before 3:00pm and your order will be ready for collection at our retail stores within 5 hours. 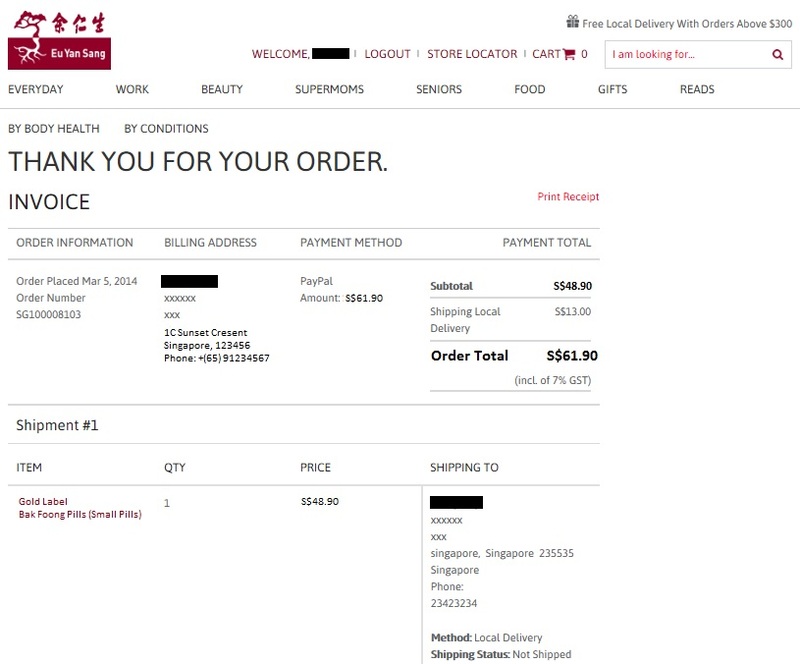 Eu Yan Sang Singapore accepts up to 14 days from the date you place your order to set as your Preferred Collection date. All orders will have to be collected within 3 days from the Preferred Collection date. 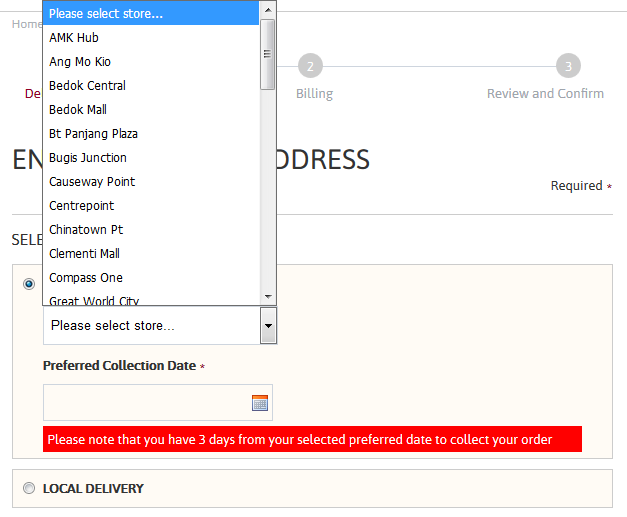 STEP 3- Fill up your particulars under Delivery Address. STEP 4- Enter Billing Address. STEP 5- Enter your coupon code (if available). STEP 6- Click CONTINUE. You will be re-directed for payment. STEP 7- You may choose to make your payment through Pay Pal or through via VISA, MasterCard, or Amex. Then click Continue. 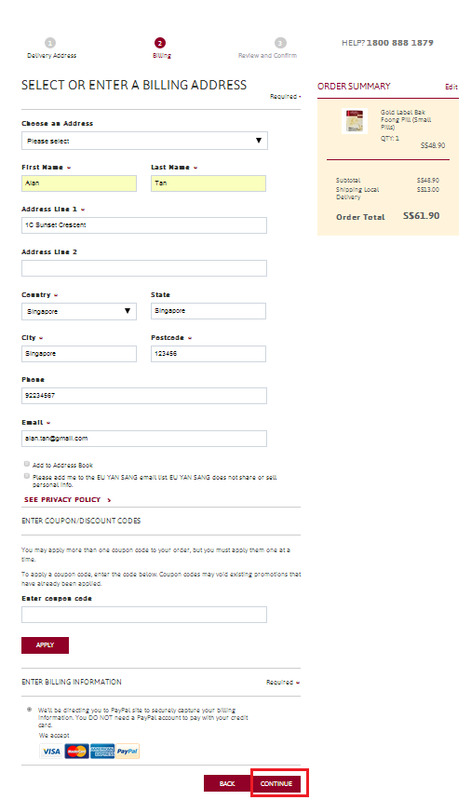 STEP 8- Confirm your order, also note your delivery cost then click SUBMIT ORDER. 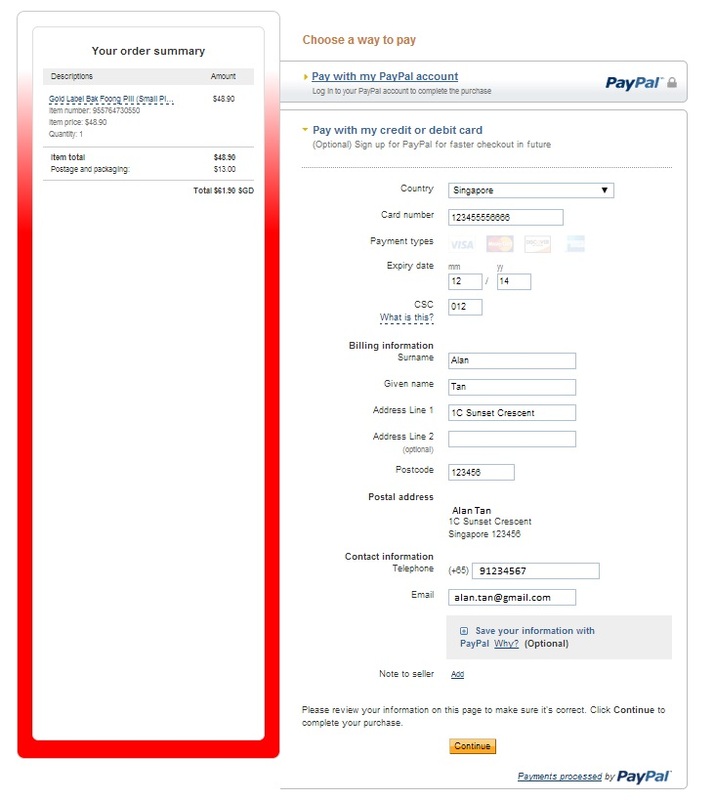 STEP 9- You will receive a payment confirmation. You may print this page. If you had entered a valid email address, you would also receive an email confirmation. Once your Click & Collect order has been confirmed, an order confirmation email will be sent with your collection details on when and where to collect. Bring along your order confirmation email with your particulars filled at the back of the email for our retail staff to verify before passing you your order. We do accept third party collection. 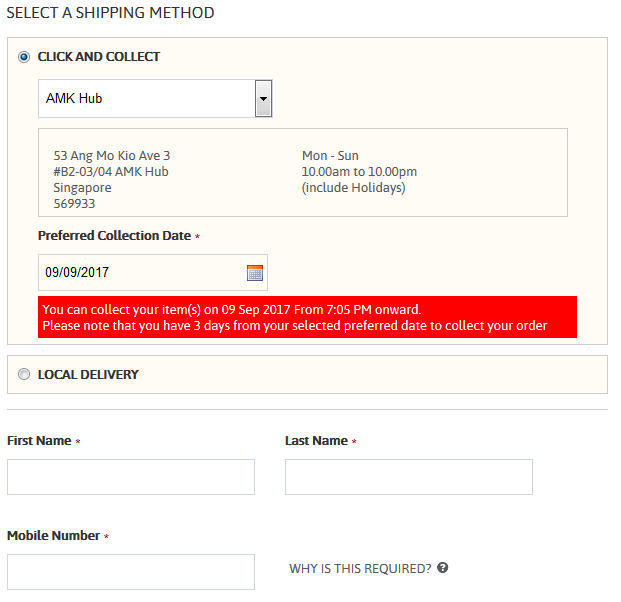 Please fill up both sections of "Collection of Click & Collect Order" and "Third Party Collection Order Authorization" at the bottom of the email for your appointed person to collect the order on your behalf.